Ainsworth G.C. and Austwick, P.K.C. Fungal Diseases of Animals. Review No. 6 of the Commonwealth Bureau of Animal Health. Pub. Commonwealth Agri. Bur. 1959 pp. 148 with colour and bw. plates. VG. in lightly chipped dw. Boyce, M. S. The Jackson Elk Herd. 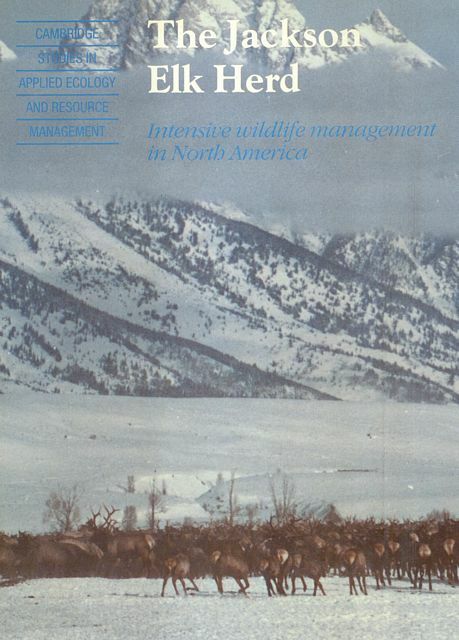 Intensive wildlife management in North America. Cambridge Studies in Applied Ecology and Resource Management. 1st. Pub. Cambridge University Press. 1989 pp, xiii, 306 with figures and tables throughout. Fading to spine, o/w a fine copy. Cloudsley-Thompson, J.L. 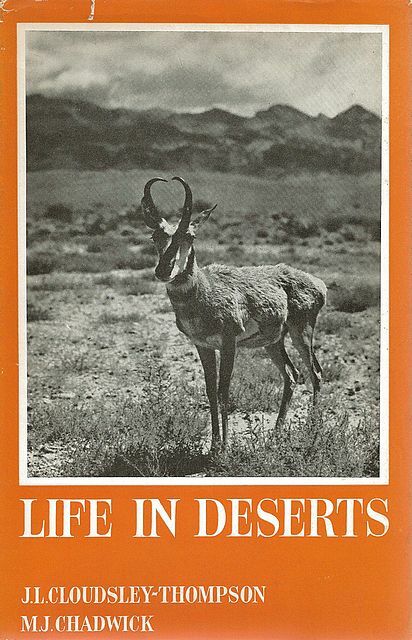 and Chadwick, M.J. Life in Deserts. Pub. Foulis. 1964 pp.xvi, 218 with many figs. VG. in good to vg. dw. Corbet, G.B. & Hill, J.E. A World List of Mammalian Species. 2nd. Ed. Pub. BM (NH). 1987 pp. 254. Pages cockled through old spill. Contents clean, boards fine (evidence of old damp stain to bottom of rear and front pastedowns). A vg. copy. Crawford, M. A. (Ed.). Comparative Nutrition of Wild Animals. Symposia of the Zoological Society of London Number 21. The Proceedings of a Symposium held at The Zoological Society of London on 10 and 11 November 1966. Academic Press. 1968 pp, xix, 429 with plates and tables throughout. A fine copy. Dixon, A.F. The Natural History of the Gorilla. 1st. Pub. Weidenfeld & Nicholson. 1981 pp.xviii, 202 with 24 photographs. VG. in dw. 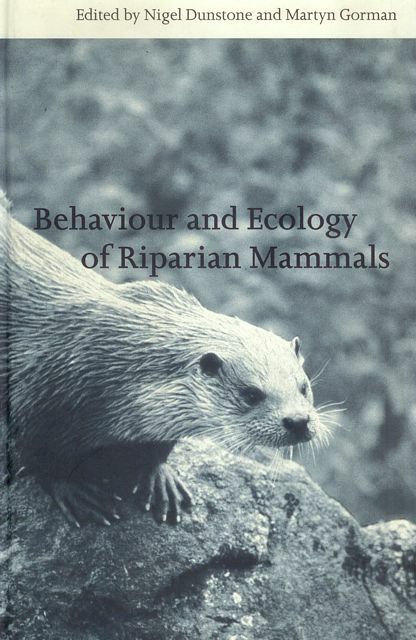 Dunstone, N. & Gorman, M. Behaviour and Ecology of Riparian Mammals. Symposia of the Zoological Society of London 71. Cambridge University Press. 1998 pp, x, 391 with tables and figures throughout. A fine copy. This book looks at the habitat utilization, adaptation, feeding ecology and conservation status of a range of riparian mammals, and will give insights into the problems facing these fascinating animals, and how they might be overcome. Eisenberg, J.F. Mammals of the Neotropics. Vol.1. The Northern Neotropics. Vol..2. The Southern Cone. Pub. Uni. Chicago Press. 1989-92 pp.x, 449; 430 with 39 full page plates & numerous text figures. Vol.1 in card covers. Vol. 2 in boards. Both volumes in vg. condition. Else, J.G. & Lee, P.C. Primate Ecology and Conservation. Selected Proceedings of the Tenth Congress of the International Primatological Society, held in Nairobi, in July 1984. 1st. Pub. C.U.P. 1986 pp.xii, 393 with text figs. and graphs. Previous owners name on free endpaper o/w. a vg. pbk. Pub. Comstock. 1998 pp.xxii, 500 with many figs. With previous owners blindstamp at corner of front card cover and titlepage. Overall vg.